Fernando Rodney was originally signed by Detroit scout Ramon Pena…has six children: Fernando Jr., Gavin, Jaden, Ferna, Emma and Jennessy…traveled to South Korea prior to the 2014 season on a goodwill trip visiting Little League teams and putting on baseball clinics…wears his hat tilted to the left for a variety of reasons, mostly in memory of his father, Ulise, who was a fisherman and wore his hat sideways to block the sun while he worked…he also cites deception to the hitter and baserunners for his hat positioning, as well as having a little fun…began his bow-and-arrow save celebration on April 16, 2012 when playing for the Tampa Bay Rays…he says he doesn't know where the idea came from, it's "just something after the last out. Out 27. You know the game is over. I shoot the moon. I shoot the arrow, just to let them know game over. "…became a U.S. Citizen on May 1, 2017 in Miami, FL. Saved a team-leading 25 games for Minnesota before he was traded to Oakland Aug. 9…went 1-1 with a 3.92 ERA in 22 relief appearances with the A's and was 4-3 with 25 saves and a 3.36 ERA in 68 relief appearances overall…ranked fifth in the American League in saves at the time of the trade and ended up tied for eighth…his 25 saves were seventh most in ML history by a pitcher 41 years old or greater and the games pitched tied for eighth…is one of five Major Leaguers to pitch in at least 60 games in each of the last seven seasons (Clippard, Robertson, Shaw, Watson)…had a .250 opponents batting average, which broke down to .185 (22-for-119) against left-handed hitters compared to .310 (40-for-129) against right-handers…surrendered five of his seven home runs to righties and had an .827 OPS against righties, .572 against lefties…allowed just 1-for-13 (7.7%) inherited runners to score…stranded all three of his inherited runners with Oakland…first batters faced hit .250 with a .338 on-base percentage… had seven blown saves, which tied for third most in the AL, and his save percentage of 78.1% was third lowest…five of the seven home runs he allowed were solo shots…opponents hit .211 with runners in scoring position, including .182 with RISP and two outs…then were 0-for-9 with two walks with the bases loaded…was 3-0, converted 16-of-17 saves and had a 1.59 ERA in 29 home games with the Twins…had a loss, a blown save and a 5.59 ERA in 11 appearances in the Coliseum…is now 4-0 with 19 saves, one blown save and a 1.25 ERA (5 er in 36.0 ip) in 38 career appearances at Target Field…has a 6.53 ERA (22 er in 30.1 ip) in 33 outings in the Coliseum…allowed a combined .338 opponents batting average and five of his seven home runs to the opponents three, four and five hitters compared to .213 against all other hitters in the order…did not allow a home run with two outs…opponents hit .149 with two strikes…had a 2.81 ERA and .226 opponents batting average in 43 games at night compared to a 4.37 ERA and .290 opponents batting average in 25 day games…logged a 1.39 ERA in 34 games on one or two days rest, a 5.34 ERA in his other 34 appearances…posted a 1.80 ERA in five interleague games…compiled a 0.95 ERA and converted 12-of-13 save opportunities in 20 games against the AL Central…opponents were 14- for-16 (87.5%) in stolen base attempts with him on the mound…the 14 steals were a career-high and tied for the most among AL relievers…did not commit an error in 10 chances and now has a 181-game errorless streak dating back to his last error on May 14, 2016. MINNESOTA: Was charged with the loss in his Twins debut on March 29 at Baltimore…escaped a first and second, one-out situation in the 10th inning but then allowed a walk-off home run to Adams Jones to lead off the bottom of the 11th in a 3-2 loss…his first save came in outing number three against Seattle on April 5…was tagged with three blown saves over a four-game stretch from April 11 to 26 (12.00 ERA, .412 opponents batting average)…then converted each of his next 15 save chances over a 20-game stretch from April 28 to June 24…had a 1.37 ERA and .134 opponents batting average over that span…had a 10.1-inning scoreless streak from April 28 to May 28, which was his longest as a Twin…was 1-2 with three saves and three blown saves over his first nine games through the end of April…had a 5.87 ERA and .343 opponents batting average over that stretch…then converted each of his eight save opportunities in May while logging a 0.87 ERA and .143 opponents batting average in 10 games…tossed a season-high 1.1 innings May 28 at Kansas City…had his consecutive save streak end with blown saves in back-to-back appearances on June 28 at Chicago (AL) and July 2 at Milwaukee…posted a 5.11 ERA and .320 opponents batting average over a 13-game stretch from June 28 to July 27 and was 5-for-8 in saves…did not allow an earned run (5.0 ip )and converted each of his three saves over his final five games with the Twins. OAKLAND: Was traded to Oakland on Aug. 9 for minor league pitcher Dakota Chalmers and did not allow a run in his first 11 games with the A's (11.0 ip)…held the opposition scoreless in his final three outings with the Twins for a 14.0-inning scoreless streak from Aug. 3 to 31…opponents went 9-for-48 (.188) over that span…allowed just one run in 15 appearances (15.0 ip) in August and it was unearned…then allowed at least one run in six of his 11 appearances in September… allowed nine runs on 14 hits and 10 walks in 9.2 innings for an 8.38 ERA, .333 opponents batting average and .462 on-base percentage…tossed a season-high tying 1.1 innings Sept. 4 against New York (AL), one of just two outings longer than one inning…took the last that day and had his lone blown save with the A's Sept. 8 against Texas in the eighth inning…walked a season-high three batters in 1.0 inning in his final outing Sept. 29 at Los Angeles (AL)…pitched in the Wild Card game on New York on Oct. 3…started the sixth inning with the A's trailing 2-0 and allowed back-to-back doubles to Judge and Hicks…was relieved by Treinen after a wild pitch and faced just the two batters. Pitched in three games for the Dominican Republic at the 2017 World Baseball Classic, allowing one earned run in 3.1 innings pitched ... Signed by Arizona as free agent December 2, 2016 ... Became a U.S. Citizen on May 1 in Miami, FL ... Held the opposition hitless in 29 at-bats in June, making him the fourth pitcher all-time to face 28-plus hitters in a single month and not allow a hit, joining Edwar Ramirez in June 2008 (37 BF), Bryan Harvey in August 1989 (33) and Sparky Lyle in April 1970 (29) ... Went 15-for-16 in save chances with a 0.00 ERA (19.1 IP) and a .035 opponent average (2-for-57) in 20 games from May 1-July 1 ... Recorded 20 saves in first-half, fifth most in franchise history, behind Jose Valverde (26 in 2007), Byung-Hyun Kim (22 in 2002), J.J. Putz (21 in 2011) and Addison Reed (21 in 2014) ... Earned his 20th save in Arizona's 70th game, the second fastest to that mark in team history; Jose Valverde accomplished that feat in 58 games in 2007 ... Recorded 12 saves in August, a Diamondbacks monthly record, surpassing J.J. Putz's 11 in May and August 2011 ... Saved 300th career game September 22 vs. Marlins, the 28th player in baseball history to do so ... His .154 opponent average after May 1 was second among NL relievers behind Carl Edwards Jr. (.144) ... Held right-handed hitters to a .165 average (16-for-97) with just four extra-base hits (3 2B, 1 HR) ... Opponents hit just .151 (13-for-86) against his changeup, the best mark among NL relief pitchers and second best in baseball (Chris Devenski, .138) ... His 39 saves were tied for third most in the NL with Corey Knebel behind Greg Holland (41) and Kenley Jansen (41), and the third-most in franchise history, behind Jose Valverde in 2007 (45) and J.J. Putz in 2011 (45) ... Was one save shy of becoming the second pitcher with 40+ saves at age 40-or-older (Mariano Rivera; 44 in 2013  and 33 in 2011 ). Selected to his third All-Star Team, going 2-4 with 25 saves, 3.44 ERA (25 ER in 65.1 IP) and 74 strikeouts in 67 games with the Padres and Marlins...Posted a 0.31 ERA (1 ER in 28.2) and 17 saves in 28 games with San Diego before being traded to Miami on June 30 for RHP Chris Paddack...Began the season with 25 scoreless outings (25.2 IP) through June 21, the longest streak in Padres history to start a season...Ranked third among Major League relievers in the fi rst half with a .147 opponents average and fourth with a 1.04 ERA...Signed as a free agent on Feb. 2. Played in 54 games for Seattle before being acquired by the Chicago Cubs on 8/27, going 2-0 with a 0.75 ERA (1 ER, 12.0 IP) in 14 outings for Chicago…overall on the season went 7-5 with a 4.74 ERA (33 ER, 62.2 IP) over 68 games total between Seattle and Chicago....Began the season with the Mariners, appearing in 54 games before being designated for assignment on 8/23…acquired by the Cubs on 8/27 for a PTBNL or cash considerations....Over his first 25 games for Seattle from 4/6-6/10, went 2-3 with 14 saves in 17 opportunities to go with a 7.03 ERA (19 ER, 24.1 IP)…posted a 3.16 ERA (9 ER, 25.2 IP) over his next 27 outings from 6/11-8/16 before allowing four runs over his final two games with Seattle and being designated for assignment....Allowed one earned run in 12.0 innings total for the Cubs, with three unearned runs allowed on 10/1 at CIN…recorded 15 strikeouts against four walks and eight hits allowed....Also pitched in two postseason games for the Cubs, working 0.2 scoreless innings in the National League Division Series before allowing two runs over 1.0 inning in the National League Championships Series. All-Star closer led MLB with 48 saves and went 1-6, 2.85 in team-high 69 appearances... Led MLB with 48 saves, becoming ﬁrst Mariners pitcherto lead the Majors (or AL) in saves... Broke the Mariners' single-season saves record, passingthe old record of 45 set by Kazuhiro Sasaki in 2001…recorded record-breaking 46th save Sept. 18 at LAA... Ranked 2nd in AL and 3rd in MLB converting 94.1% ofsaves (48 of 51)... Recorded only 3 blown saves, tied for 12th-fewest in MLB history by a closer with 45 or more saves... Allowed at least one baserunner in 47 of 69 appearances (68%), including 34of 51 save opportunities (67%)... Recorded his second season with 45+ saves, tying his career high set in 2012 with TB…one of 16 closers in MLB history with at least two seasons with 45+ saves... Recorded his 200th career save July 26 vs. Baltimore…one of 46 pitchers in MLB history with 200+ saves (1 of 7 active pitchers)…39th all-time with 220 career saves... Recorded 9 saves in each May, June, August and September,accounting for 4 of the 16 9+ save months in club history... Converted 21 consecutive save opportunities July 26-end of season... Led the AL with 64 games ﬁnished, tied for 2nd-most in club history(Putz, 65 in 2007).. Appeared in his second All-Star game (also 2012)…recorded one walk and onestrikeout in 0.1 IP in game played at Target Field in Minneapolis... Averaged 10.31 K/9.0 IP (76 K's)…recorded at least one K in 53 of 69 games... Recorded a save in all three games of the Mariners 3-game seriessweep at Kansas City June 20-22…fourth Seattle pitcher (5 times) to save all three gamesin a 3-game sweep: Mike Schooler (2x: 7/4-6/89 vs. MIN & 9/11-13/89 vs. BOS), Jose Mesa (7/30-8/1/99 vs. BAL) and J.J. Putz (6/8-10/07 at SD)... Recorded 133 saves over the last three seasons: 2012 - 48, 2013 - 37, 2014- 48, 2nd-most in MLB behind Craig Kimbrel (139). Appeared in 68 games with Rays, the second consecutive season and fourth in last five with 65+ appearances. Posted a 1.88 ERA (8 ER, 38.1 IP) with 46 strikeouts over his final 39 appearances…posted 5.40 ERA (17 ER, 28.1 IP) in his first 29 relief outings. First in Rays history with two 35-save seasons…ranks 2nd all-time on Rays list with 85 saves (R. Hernandez, 101). Entered game in a non-save situation 23 times, going 4-0 with 2.59 ERA (7 ER, 24.1 IP)…in save situations, had a 3.95 ERA (18 ER, 41.0 IP). Recorded 18 straight saves from May 29-Aug 4, posting a 2.22 ERA (6 ER, 24.1 IP) with 33 strikeouts in 25 relief appearances. On May 21 at Toronto, threw a fastball 100.7 mph in the 9th inning vs. Colby Rasmus, the highest velocity of his career according to PITCHf/x. Ten-year veteran had a historic season as theRays closer after signing as a free agent onJan 4...his 0.60 ERA (74.2-IP, 5-ER) set a majorleague record for a relief pitcher (min. 50IP), breaking OAK Dennis Eckersley's record of0.61 in 1990...Allowed only one ER in 45 IP over his final 45 apps (HR to TOR David Cooper on Aug. 8), beginning June 16 (0.20 ERA)...Earned a club-record and career-high 48 saves (prev. 45, by Rafael Soriano in 2010)...joined Eckersley (48 saves, 0.61 ERA) in 1990 as the only pitchers in major league history to post 40 saves and a sub-1.00 ERA...Finished fifth in the BBWAA AL Cy Young voting...received 38 points (one 1st-place vote) in the 7-4-3-2-1 point system...since 1995 only one AL reliever has received more Cy Young voting points: NYY Mariano Rivera with 68 pointsin 2005...also became just the fourth Ray to receive votes for the Cy Young joining David Price(2010 and 2012), James Shields (2011) andRafael Soriano (2010).Named the AL Comeback Player of the Year, chosen by the 30 club beat reporters for MLB.com...he was the second Ray to earn the honor, joining Carlos Peña (2007)...Also finished 13th (two points behind David Price) in the AL MVP balloting.His 0.60 ERA was 0.98 better than the next closest AL reliever (BOS Scott Atchison, 1.58)...this was the largest lead by an AL relief pitcher since 1950, when BOS Mickey McDermott (1.67) led CLE Sam Zoldak (3.04) by 1.37 runs...Ranked second in the majors in saves behind BAL Jim Johnson (51)...Led the majors with a 96.0 save pct. (48-for-50), breaking Rafael Soriano's club record of 93.8 (45-for-48) in 2010...Appeared in a career-high 76 games (prev. 73 in 2009), tied with teammate Joel Peralta forsecond most in the AL...finished 65 games, secondmost in the majors...his 76 SO were a career high...Four of the nine runs he allowed were unearned...Averaged 1.81 BB/9 IP and 5.06 SO/BB (74.2-IP, 76-SO, 15-BB) after entering the season with career ratios of 4.88 BB/9 IP and 1.65 SO/BB...in fact, in 2011 his 7.88 BB/9 IP ratio (32-IP, 28-BB) was highest in the majors among pitcherswith at least 25 innings...Of the Rays 10 victories over the Yankees, he recorded two wins and seven saves, tying the major league record for most saves vs. the Yankees in one season (also TB Danys Baez in 2005, CWS Bobby Thigpen in 1990)...Opponents hit only .167/.219/.198 (43-for-258)...ranked fourth among AL relievers in opp avg., second in opp OBP and 1st in opp SLG...yielded only two HR, and has allowed only three HR in his last 143 apps...Had a 22-inning scoreless streak from June 14-Aug. 7, longest ever by a Rays reliever at the time, but was surpassed days later by J.P. Howell (27.1)...broke Joe Borowski's club-record streak of 21 innings set in 2005...the streak ended when he allowed a solo homer to David Cooper in the ninth inning on Aug. 9 vs. TOR...Allowed only 2 ER at Tropicana Field, posting a 0.44 ERA (41-IP, 3-R, 2-ER) in 42 apps at home, best among major league relievers...Earned his 100th career save on May 19 vs. ATL...following the game, he gave the game ball to Nathan Johnson, a man celebrating his 100th birthday at Tropicana Field that day...Converted his first 15 save chances, one shy of the club record to start the season...blew his first save on May 26 at BOS on a two-run, pinchhit walk-off homer by Jarrod Saltalamacchiain the ninth inning...it was only the second walkoff homer allowed in Rodney's career, the first coming in his second major league game withDetroit on May 8, 2002 at ANA (Troy Glaus)...After his first blown save, converted his next 22 consecutive save opportunities to set a club record...the prev. record of 19 was held byRafael Soriano (2010) and Roberto Hernandez (1999)...the streak ended on Aug 14 at SEA, when he lost on two unearned runs following an error by Carlos Peña in the ninth...His only two saves of longer than one inning both came in September...on Sept. 1 at TOR worked 1.2 IP for his 40th save as the Rays won on a game-ending outfield assist by B.J. Upton...on Sept. 14 at NYY pitched 1.2 innings for his 43rd save...ALL-STAR GAME: At age 35, became the oldestfirst-time All-Star in Rays history...only fouractive players have made their first All-StarTeam at an older age: SEA Jamie Moyer (40) in 2003, NYM R.A. Dickey (37) in 2012, LAD Takashi Saito (37) in 2007 and PHI Raul Ibañez (37) in 2009...was the 20th different Ray to make the All-Star Team...pitched a perfect ninth inning for the AL in the 8-0 loss, retiring PIT Andrew McCutchen, CIN Jay Bruce and CHC Bryan LaHair all on groundouts...had a 0.93 ERA and 25 saves at the All-Star break, becoming the seventh pitcher to earn 25 saves with a sub-1.00 ERA in the first half since the save became an official statistic in 1969...Pitched for Escogido in the Dominican Winter League playoffs. His 32 innings pitched were his fewest since 2003...began the season as the Angels closer and saved their Opening Day win at KC...yielded that role to rookie Jordan Walden in April...was 3 of 7 in save chances, earning his last save on May 30 at KC...Was 2nd on the staff in appearances through May with 25 while holding opponents to a .195 avg., but appeared in only 14 games the rest of the season including only 2 of the final 29 games...missed 35 games while on the disabled list with a strained upper back, June 9-July 21...Held right-handed hitters to a .180 (11-for-61) clip...in the 7 seasons following his rookie season (2003), has held righties to a .216 (160-for-741) mark...Allowed 1 HR (B.J. Upton, April 29 at TB), the only homer he has allowed in his last 67 apps...the next day he threw a wild pitch in the 10th with 2 outs and Matt Joyce on third base to give the Rays a 2-1 win, their first ever on a walk-off wild pitch...also lost to the Rays in the 10th inning on June 8 at LAA...went on DL the next day...Averaged 7.88 BB/9 innings (32-IP, 28-BB), highest in the majors among pitchers with 25 or more innings...all but one of his apps were less than 2 innings...5 times he entered the game before the 8th inning, something he had not done since 2008. In first season with Angels and sixth full Major League season, posted a 4-3 record with 14 saves and a 4.24 ERA (68IP - 32 ER) in 72 appearances...Allowed 70 hits (4 HR) while walking 35 batters and striking out 53...Led Halos 'penwith 72 appearances and 68 IP while trailing only K. Jepsen (61) in SO...His 13.1 scoreless inning streak (April 10-May10) was longest by a Halo reliever in 2010... Had string of 27 consecutive home saves snapped June 25 vs. Colorado...Converted just nine of final 16 save opportunities and 14 of 21 save opportunities overall...Has converted 53 of 61 saveopportunities dating back to 2008...21 for 26 in hold chances...Posted a 2.25 ERA (12.0 IP - 3 ER) in August after a7.84 (10.1 IP - 9 ER) showing in July...Registered a 5.65 ERA (14.1 IP - 9 ER) over his final 15 outings. In fifth full Major League season with Tigers, was 2-5 with 37 saves and a 4.40 ERA (75.2 IP - 37 ER) in 73 appearances...Allowed 70 hits (8 HR), walked 41 and struck out 61...Converted 97.4 percent of save opportunities (37/38), tops amongall American League pitchers...Set career-highs in saves, appearances, innings pitched and games finished (65, tops inthe AL)...Became just fourth pitcher in Tigers' history to record 30-or-more saves in a season...Converted each of first 22save opportunities, April 11-July 24, marking the longest such streak by a Tigers pitcher since Matt Anderson converted22 straight save opportunities in 2001..Compiled a 2-1 record with 14 saves and a 1.52 ERA (23.2 IP - 4 ER) over a22-outing stretch, July 7-September 2...Only blown-save came August 1 at Cleveland (1 IP, 1 H, 1 R, 1 ER, 1 SO)...Serveda two-game suspension from Major League Baseball, September 14-16, for his actions following the Tigers game at TampaBay, September 4...Made 300th career appearance, September 22 at Cleveland. Appeared in 38 games for the Tigers after he missed the first 11 weeks of the 2008 season with right shoulder tendinitis-- recorded a career-high 13 saves as he served as the club's closer over the season's final two months...Assigned to Triple A Toledo as part of an injury rehab assignment on June 3 -- appeared in four games with Toledo before being recalled from his injury rehab assignment and reinstated from the disabled list by the Tigers on June 16...Surrendered five runs over his first two outings with the Tigers June 16-20, retiring one of the seven batters he faced -- compiled a 1.98 ERA (13.2IP/3ER) and 12 strikeouts over his next 12 appearances June 24-July 25...Posted a career-long six-game losing streak June 20-September 16 -- longest losing streak by a Tigers reliever since Steve Sparks dropped six straight decisions in relief May 25-August 18, 2003...Equaled a career high with three innings of relief on August 5 at Chicago's U.S. Cellular Field against the White Sox -- fanned a season-best five batters in the outing...Finished 0-1 with a 3.29 ERA (13.2IP/5ER), six saves and 21 strikeouts in 11 outings during August -- tied for fourth in the American League with six saves during the month...Tied for sixth in the American League with six saves during September...Tied for sixth in the American League with six blown saves...Limited righthanded batters to a .186 batting average (13x70)...lefties hit .256 (21x82) with Rodney on the mound...Compiled a 0-2 record, 2.61 ERA (20.2IP/6ER) and seven saves in 19 outings at Comerica Park...finished 0-4 with a7.32 ERA (19.2IP/16ER) and six saves in 19 appearances on the road...Appeared in four games with Escogido in the Dominican Winter League, posting an 8.10 ERA (3.1IP/3ER), one saveand five strikeouts. Limited to 48 appearances with the Tigers due to twostints on the disabled list...Tied for third among American League relievers withsix losses...Suffered the loss in four straight decisions April 13-June 13, establishing a career high...Compiled a 2.19 ERA (12.1IP/3ER) over a 10-outingstretch April 24-May 19 -- posted a 7.88 ERA (8.0IP/7ER)in his first eight appearances of the season April 2-21...Sidelined May 21-June 5 with biceps tendinitis...Did not allow a run in 13 straight outings June 20-August 31, tossing 13.2 scoreless innings...Posted a 7.36 ERA (7.1IP/6ER) in eight outings in Junebefore landing on the disabled list on June 24 with rightshoulder tendinitis...Assigned to Triple A Toledo on an injury rehab assignmenton July 27 -- worked three scoreless innings in fouroutings with the Mud Hens...Recalled from his injury rehab assignment with Toledoand reinstated from the disabled list on August 4...Tabbed the Tigers Pitcher of the Month for August afterholding the opposition scoreless in all 11 of his outings --fanned 17 batters in 12.0 innings of relief...Compiled a 2-2 record and 3.66 ERA (19.2IP/8ER) in21 outings on the road...posted a 0-4 record and 4.65ERA (31.0IP/16ER) in 27 appearances at Comerica Park...Finished 1-5 with a 5.40 ERA (28.1IP/17ER) in 27games prior to the all-star break...went 1-1 with a 2.82ERA (22.1IP/7ER) in 21 outings following the all-starbreak. In his first full season at the major league level, he established career highs with seven wins, 63 appearances,71.2 innings pitched and 65 strikeouts...Sixth among all American League relievers with a .196 batting average against, while he was seventh with 6.40 hits per nine innings...Posted seven wins in relief, marking the most wins bya Tigers reliever since Joe Boever recorded nine wins during the 1994 season...Registered a 1.03 ERA (26.1IP/3ER) in his first 24 appearances of the season April 3-June 3...compiled an 8.00 ERA (18.0IP/16ER) over his next 17 outings June 6-July 24...Held opponents scoreless in each of his first 13 outings of the season April 3-May 5, tossing 13.0 innings duringthe stretch...Posted two three-game winning streaks during the season to establish a career high -- May 20-June 1 and July28-September 12...Equaled a career best with three innings of relief on June 12 versus Tampa Bay...Finished with a 1.32 ERA (13.2IP/2ER) in 11 outings during August...In 33 appearances at Comerica Park, he finished 4-0 with a 1.31 ERA (41.1IP/6ER)...posted a 3-4 record and 6.53 ERA (30.1IP/22ER) in 30 games on the road. Missed the first two months of the season on the Tigersdisabled list with right shoulder inflammation...Assigned to Triple A Toledo by the Tigers on a rehabassignment on June 3 -- made three appearances for theMud Hens before being recalled from the rehab assignmentand reinstated from the disabled list on June 9...Equaled a career best with three innings of relief July 8at Tampa Bay -- matched the high on July 15 vs.Kansas City, striking out a career-high seven batters...Did not allow a run over 10 straight outings July 8-August 4, tossing a total of 14.0 innings...Posted a 2.03 ERA (13.1IP/3ER) in 10 outings in July...Registered the save in both games of a doubleheaderat Kansas City on August 14 to become the first Tigerspitcher to do so since Mike Henneman closed out bothgames of a doubleheader sweep of the Boston Red Soxon August 5, 1988 at Tiger Stadium...Tabbed the Tigers Pitcher of the Month for August afterfinishing 0-1 with a 3.09 ERA (11.2IP/4ER) and sevensaves in 11 outings -- tied for sixth in the AmericanLeague with seven saves...Limited righthanded opposition to a .219 batting average(21x96), while lefties hit .265 (18x68) against him...Opposition batted .207 (18x87) against him with runnerson base. Did not pitch after he underwent ulnar collateral ligament reconstruction surgery in his right elbow on April 29, a procedure performed by Dr. James Andrews in Birmingham, AL...Landed on the disabled list retroactive to March 26 with a right elbow strain on April 2...Transferred to the 60-day disabled list on April 29. Saw action with Detroit in two separate stints during the2003 season...Recalled from Toledo on June 22...Did not allow a run in six of his first seven outings for Detroit June 23-July 11, but was scored upon in four of his next five outings July 12-25, posting an 11.57 ERA (4.2 IP/6 ER)...Recalled from Toledo for second and final time prior to the game on August 24 vs. Anaheim...Tossed a career-high three innings in an 8-4 Tigers win on August 29 vs. Chicago...Retired all six batters he faced and had four strikeoutsto earn his first career save in an 8-6 victory September 2 versus Cleveland...Was Tigers Pitcher of the Month for September -- in 12 games, he was 1-2 with a 3.86 ERA (14.0IP/6ER), three saves and 20 strikeouts...Combined for a 3.80 ERA (19.0IP/8ER) with eight walks and 24 strikeouts in 15 appearances in August and September. Recalled from Double A Erie by Detroit on May 3, 2002,he made his major league debut at Minnesota May 4 --took the loss against the Twins, surrendering an unearnedrun on two hits in 1.1 innings...Scored upon in all four of his outings with Detroit duringMay, posting a 0-2 record and 9.82 ERA (3.2IP/4ER)...Optioned to Erie on May 17...Recalled for his second stint with Detroit on July11...recorded his first major league win July 13 in the daygame of a day-night doubleheader against the White Soxdespite allowing one run on one hit in an inning of relief...Optioned to Toledo by the Tigers on July 25...recalledfor a third time by Detroit on August 13...Worked a career-high two innings of relief at Anaheimon August 14, blanking the Angels on one hit...Sent back to Toledo on August 25...Recalled by the Tigers for a fourth and final time on September 7...appeared in seven games duringSeptember with Detroit, allowing two unearned runs onfour hits in 5.2 innings...Struck out a career-high four batters at Kansas City onSeptember 26. Limited by two stints on the disabled list, he appearedwith the Gulf Coast League Tigers, Single A Lakelandand Erie during 2001...Opened the season in Lakeland's starting rotation...infive starts during April, he was 2-0 with a 1.33 ERA --limited Florida State League opposition to a .192 battingaverage (19x99) while allowing seven runs (four earned)in 27.0 innings...Fanned a season-high six batters at Charlotte May 5-- matched his season best with six strikeouts in his nextstart, May 10 vs. Brevard County...Landed on the disabled list on May 22 with a rightforearm stain...Returned to action for the Tigers on July 2 at BrevardCounty, working a scoreless inning of relief...Returned to the disabled list on July 13 with a lefthamstring pull...Made one start with the Gulf Coast League Tigers aspart of his rehabilitation assignment on August 7 againstthe Gulf Coast League Phillies...worked a scoreless inning, fanning one batter...Returned to action with Lakeland on August 11, earningthe win as he fanned two batters in two innings ofrelief...Appeared two more times in relief for Lakeland,August 15 vs. Tampa and August 18 vs. Daytona,before being promoted to Erie...Appeared in two games for the SeaWolves during theEastern League playoffs...earned a save in Erie's win inthe first game of the series before being tagged for twosolo home runs as he retired just one batter in the thirdgame of the series...Named the 16th-best prospect in the Tigers organizationfollowing the season by Baseball America...Rated as possessing the best fastball in the Tigersorganization following the season by Baseball America. Posted a 6-4 record and 2.94 ERA in 22 appearanceswith Single A West Michigan in 2000...Moved from the Whitecaps bullpen to the startingrotation on June 23...shut out Quad City on just one hitfor six innings to earn the win on June 23...In six appearances during June, he posted a 2-0record and 2.05 ERA...limited opponents to a .205 battingaverage (16x78) as he allowed just six runs (fiveearned) in 22.0 innings...Fanned a season-high seven batters in a season-highseven innings pitched July 16 vs. South Bend...Matched season highs with seven strikeouts andseven innings in his victory at South Bend on July 22...limited the Silver Hawks to one run on six hits...Placed on the disabled list on August 14 with right shoulder strain, forcing him to miss the remainder of theseason...Held all opponents to a .238 batting average(74x311)...righties hit just .224 (45x201) with Rodney onthe mound, while lefties batted .264 (29x110) againsthim...Was 4-0 with a 2.17 ERA (29.0IP/7ER) in 12 reliefappearances...2-4 with a 3.35 ERA (53.2IP/20ER) in 10starts...Named the 19th-best prospect in both the MidwestLeague and the Tigers organization following the seasonby Baseball America. In 1999, spent majority of season with Gulf Coast League Tigers...Compiled a 3-3 record with nine saves and a2.40 ERA (30 IP - 8 ER) in 22 appearances...Allowed 20 hits (1 HR), walked 21 and struck out 39...Tied for secondin GCL with nine saves and 20 games finished, while he tied for fourth with 22 appearances...Was promoted toLakeland, August 26, where he finished season posting a 1-0 record with two saves and a 1.42 ERA (6.1 IP - 1 ER)in four appearances...Named fifth-best prospect in Gulf Coast League by Baseball America. In 1998, made professional debut with the Dominican Summer League Tigers...Registered a 1-3 record with onesave and a 3.38 ERA (32 IP - 12 ER) in 11 appearances, five starts...Allowed 25 hits (4 HR), walked 19 and struckout 37. Rodney closing in on ... Cy Young? December 11, 2018 RHP Fernando Rodney assigned to Leones del Escogido. August 10, 2018 Oakland Athletics activated RHP Fernando Rodney. August 9, 2018 Minnesota Twins traded RHP Fernando Rodney to Oakland Athletics for RHP Dakota Chalmers. December 26, 2017 RHP Fernando Rodney assigned to Leones del Escogido. 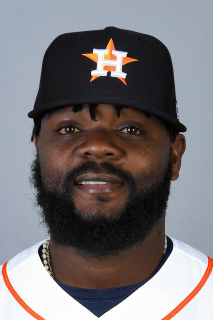 December 15, 2017 Minnesota Twins signed free agent RHP Fernando Rodney. November 2, 2017 RHP Fernando Rodney elected free agency. December 9, 2016 Arizona Diamondbacks signed free agent RHP Fernando Rodney. November 3, 2016 RHP Fernando Rodney elected free agency. November 3, 2016 Fernando Rodney elected free agency. July 1, 2016 Miami Marlins activated RHP Fernando Rodney. February 4, 2016 San Diego Padres signed free agent RHP Fernando Rodney. January 30, 2016 RHP Fernando Rodney assigned to Dominican Republic. December 27, 2015 RHP Fernando Rodney assigned to Leones del Escogido. November 2, 2015 RHP Fernando Rodney elected free agency. August 27, 2015 Seattle Mariners traded RHP Fernando Rodney to Chicago Cubs. August 23, 2015 Seattle Mariners designated RHP Fernando Rodney for assignment. February 13, 2014 Seattle Mariners signed free agent RHP Fernando Rodney. February 1, 2013 RHP Fernando Rodney assigned to Dominican Republic. January 4, 2012 Tampa Bay Rays signed free agent RHP Fernando Rodney. October 30, 2011 RHP Fernando Rodney elected free agency. July 22, 2011 Fernando Rodney assigned to Los Angeles Angels. July 22, 2011 Los Angeles Angels activated RHP Fernando Rodney from the 15-day disabled list. July 16, 2011 sent RHP Fernando Rodney on a rehab assignment to Inland Empire 66ers. June 13, 2011 Los Angeles Angels placed RHP Fernando Rodney on the 15-day disabled list retroactive to June 9, 2011. Upper back strain. December 26, 2010 RHP Fernando Rodney assigned to Leones del Escogido. December 26, 2010 Fernando Rodney roster status changed by Leones del Escogido. December 24, 2009 Los Angeles Angels signed free agent RHP Fernando Rodney. November 5, 2009 RHP Fernando Rodney elected free agency.